Cassette tapes and black and white televisions have both given way to stamp-sized MP3 players and wall-sized widescreens. 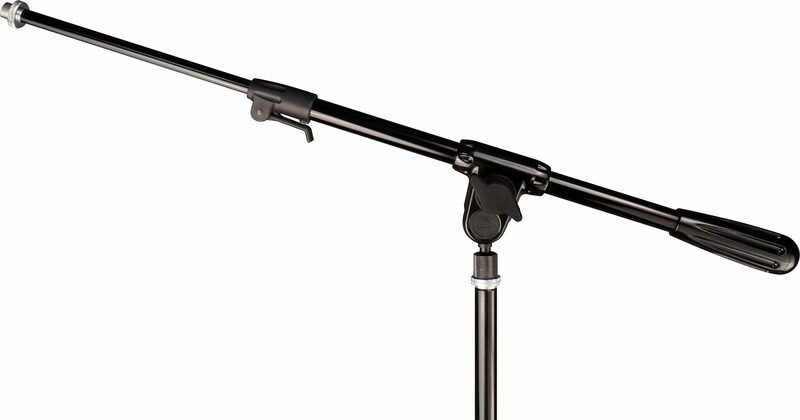 It's high time to throw your "vintage" microphone boom arms into the same waste pile you tossed your bell bottoms and the AMC Gremlin your parents drove in high school. Welcome to the Ulti-Boom Pro evolved boom arms. "Four Degrees of Freedom!" That's how Ultimate Support affectionately describe the patented ball-in-joint boom arm clamp. With just one Z-Knob, you can take control of tilt (angle), pan (left to right), depth (toward or away from you), and rotation (twisting the mic one way or the other)! It's quiet, easy, fast, and well, kinda fun! Never twist a dial again! 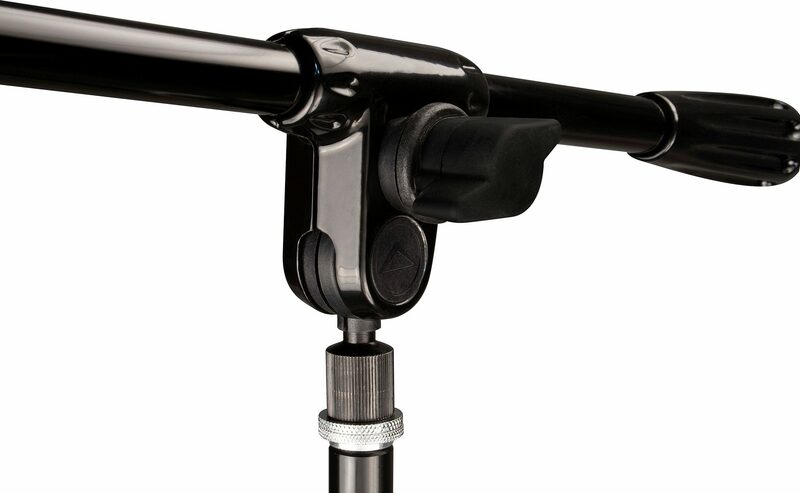 The StableLock lever is simply the fastest, most secure way to adjust the telescoping tube on a boom arm ever. Period. No, seriously. What's more, the telescoping arm is a D-Tube (one side is flat) so the lever secures not only the depth, but the rotation of the arm too! Ultimate Support has effectively eradicated "drooping mic syndrome" forever! The complete boom (mast and telescoping tube) use oversized, heavy-walled aluminum tubing for durability, functionality, and weight savings. What's more, thanks to the architectural anodized finish (the same type of finish found on stadium bleachers), an Ulti-Boom will not rust or corrode and is 2x to 20x more durable than competing boom arm finishes.